I'm excited to announce the official pre-order of my 2018 Photography Calendar is live! You can check it out online here. I highly recommend anyone who wants a calendar and lives outside of the state of Texas order from here. All shipping info is collected here and allows a much easier organization of your information. For the rest of you, please feel free to reach out to me on Facebook or at chantellereneephoto@outlook.com to find out other acceptable payments methods (Venmo is accepted). Photography inside includes photography from places I've traveled to over the years. Most recently including Zion National Park, Aspen CO, New York City, and Rocky Mountain National Park. 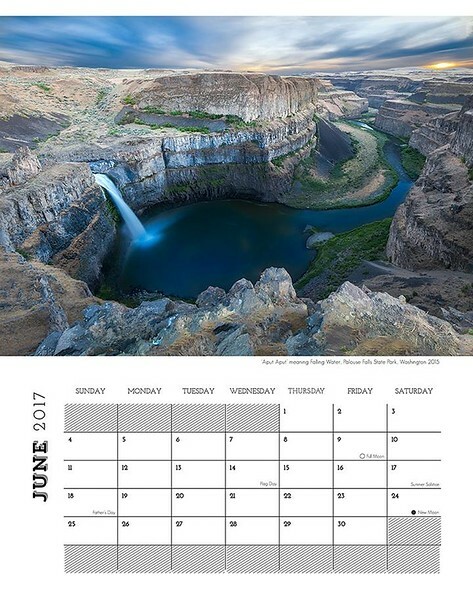 There may be one image that was used from last year's calendar inside the 2018 version, but my goal is to make each year unique and use the newest images. Each month comes with North American holidays, meteor showers and moon phases. Each month is professionally printed on press felt paper and lays flat while hanging. No creases or staples.